Every job is different, from purpose, aesthetics, materials and even lay of the land. Our owner Mark Dolan will meet you at the install site to discuss what you want to accomplish and discuss the fencing materials that would best satisfy your needs. Asking questions and performing a site inspection allows us to understand exactly what you want before setting the first post. This preparation will save you time, money and allow us to do the job right the first time. In fact, this thoroughness before is one thing that distingushes A1 from other Nashville fencing companies. We will provide a ballpark price on the spot and follow up with a detailed estimate within 2 days. When you are ready we will schedule your install within 1-2 weeks. Most jobs can be completed within one week. While most of our work is with fencing we also create decks and pergolas. Enjoy being outside and having friends over for a cook out or just have a quiet place to relax. We have built large decks that incoporate pools as well as small spaces that are cozy. Read more about decks and visit the gallery. Pergolas can enhance the outside decor of any home as well as provide shade. We have built pergolas that cover long walkways or smaller ones that act as arbors. Read more about pergolas. Wood fencing provides a traditional earthy appearance and blends well with other plants. There are many styles to choose from and you can further customize with paints and stains. 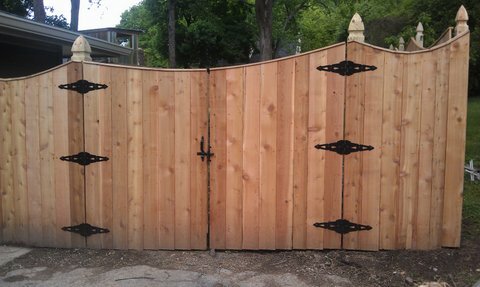 View our Wood Fence gallery. Aluminum fencing looks great and is more affordable than iron fencing. It will not rust nor require maintenance. Additionally, aluminum easily adjusts if your site is not level. 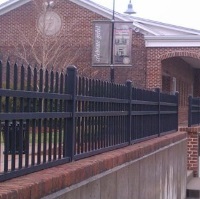 View our Aluminum Fence gallery. Chain Link Fencing is the most affordable fencing material and is durable. During its' manufacture the links are galvanized, this prevents rusting and extends the life of your fencing. 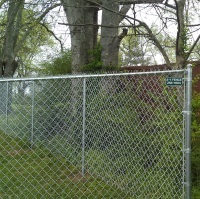 View our Chain Link Fence gallery. Vinyl fencing provides a lot of variety. Choose from many colors or even simulate the look of a wood fence. The two best aspects of vinyl are the ease of cleaning and virtually no maintenance. 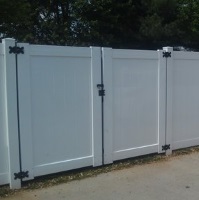 View our Vinyl Fence gallery. Pool fencing can be any material, but usually is aluminum for cost considerations as well as the ability to monitor swimmers. Protect your pool from unwanted guests while maintaing an elegant look. 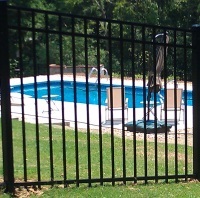 View our Pool Fence gallery. 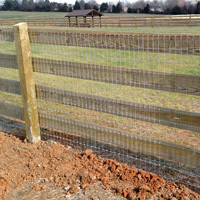 Farm fencing can protect large fields or smaller enclosures for animals, and storage. We suggest chain-link for cost reasons however there may be smaller enclosures that would look better with wood. View our Farm Fence gallery. 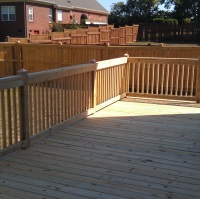 A1 Fence and Deck is a company you can trust. We have served the greater Nashville area for many years and have great reviews. 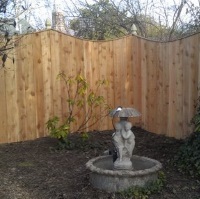 Click the images to the right or see our fence gallery for examples of our work. Almost all of out business comes through referrals and we have built a reputation that few Nashville fence companies can match. Contact Us and we will follow up quickly.